Does your job dictate where you live? You might have seen recently that people have been renting out tents in their central city properties, charging tent renters as much as $90 per week to pitch up indoors. 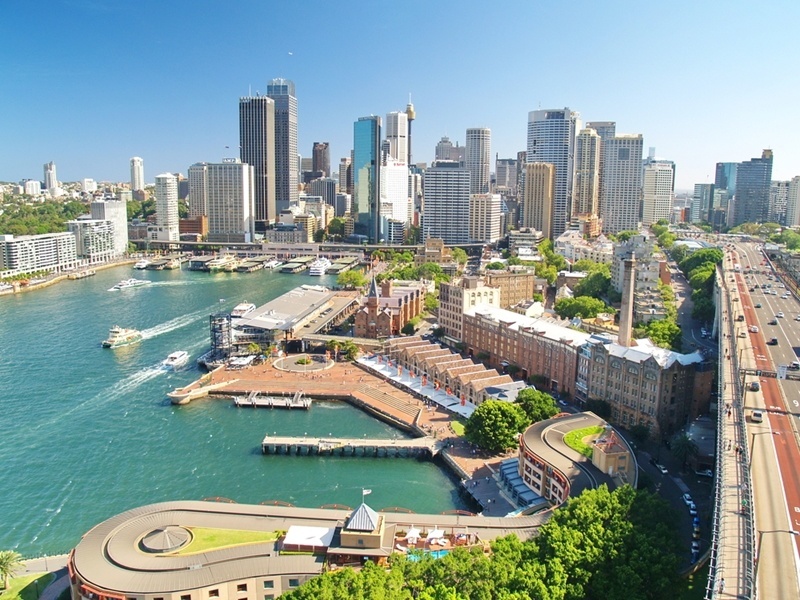 It's indicative of not just the shortage of property in CBD areas, but also the high costs associated with finding the right Australian property. We've been no strangers to affordability pressures in the last few years, particularly when it comes to family homes and investment property in Sydney. We talk a lot about how supply pressures and interest rates affect the market, but have you also thought about how employment changes the landscape? There's been some interesting discussion recently that might be worth looking into. CoreLogic's home value indices show the diversity between our capital cities when it comes to growth. While Sydney and Melbourne properties consistently sit in double figures for this metric, Perth and Darwin actually saw median dwelling values fall over the year to October 2015. "Employment levels have a strong influence on the market"
So clearly, nationwide measures like interest rates aren't necessarily the driving force behind affordability issues. In a November 2 article, CoreLogic RP Data researcher Cameron Kusher argues that employment levels have a strong influence on the market. He notes that between 2008 and 2015, 66.9 per cent of Australia's entire growth in jobs has happened in Melbourne and Sydney. This includes 74.2 per cent of full-time employment growth and 61.8 per cent of part-time increases. This means more house hunters with steady income, and possibly more people coming to these cities for job opportunities. This is reflected in Australian Bureau of Statistics data, which shows that with 66,443 and 68,141 people coming to NSW and Victoria respectively, more than half of the migrants in 2013-2014 went to one of these two cities. So there's definitely a correlation between the number of jobs and price growth - but what about when you look at different parts of Sydney? Writing for Switzer on November 17, property expert John McGrath broke down the inner, middle and outer parts of Sydney by price. Using CoreLogic figures, he noted that to live in the inner ring of Sydney suburbs and avoid spending more than 30 per cent of income on a mortgage, a household needs to earn $268,000 per year - practically prestige buyer money wherever you look. Do you have to make $250,000 a year to live in the inner suburbs? For middle ring suburbs this figure is $197,000 and in outer areas it goes down to $104,000. McGrath referred to demographer Bernard Salt's "Manhattan Effect", wherein only wealthy people are attracted to central areas of a city. It's an interesting demographic layout, but I don't think it means that your income has to dictate which part of the city you buy in. Sydney is a difficult market, there's no doubt about that. But that doesn't make it impossible. Note that John McGrath's data was based around a mortgage stress test whereby loan repayments made up less than 30 per cent of someone's income. An April report from Moody's noted that Sydneysiders were actually spending an average of 35.1 per cent of their income on a mortgage, showing that people are willing to make certain sacrifices to live in our capital. There are other ways of improving your chances with affordability. A buyers' agent will conduct insightful research and negotiate tirelessly to secure you a deal that matches your financial situation, even looking at more affordable coastal options near the best infrastructure links. People can also get by through the use of government grants, guarantors and existing equity; they can all give you a leg-up where you need it most. Sydney's growth will slow down as the cycle goes through the motions, but migration and employment will keep the price wheels spinning. This means you need every edge you can get.